It is crucial to combat the spread of illnesses at work and reduce the downtime caused by employee absence. This is particularly crucial in the industrial and manufacturing sectors, who can’t afford to let the wheels fall off when it comes to output. With the UK productivity slumping compared to our European contemporaries, reducing employee absenteeism has never been more crucial. 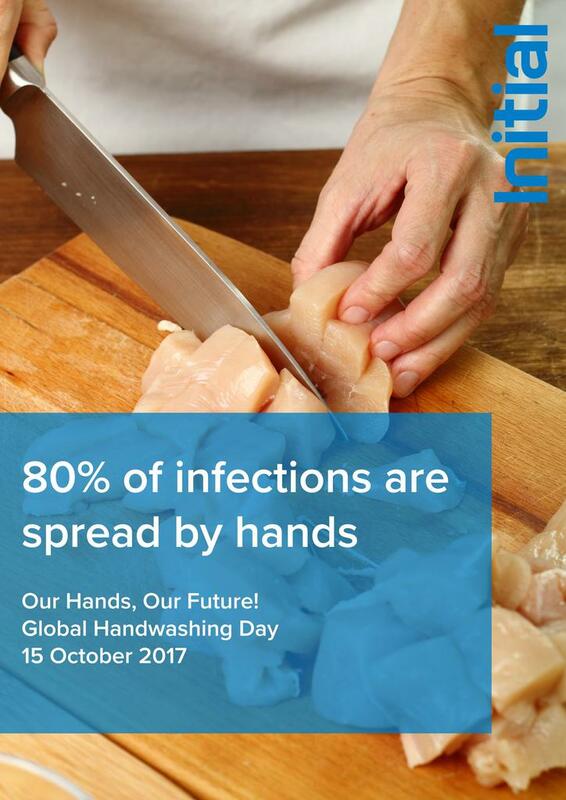 With 80% of viruses and most bacteria transmissible by touch, poor hand hygiene greatly increases the risk of illnesses spreading throughout a work environment. A single bacterium has the capacity to multiply into more than 8 million cells in less than 12 hours if conditions are right. 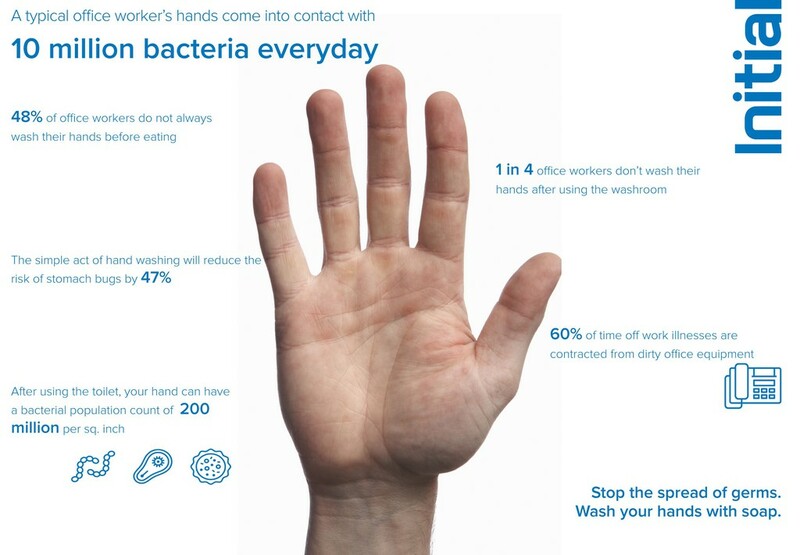 It is also estimated that the typical office worker’s hands come into contact with10 million bacteria per day simply through everyday activities. This is worrying food for thought when one considers industrial and warehouse environments, where employees are regularly handling shared equipment. Of course, work on site or in the warehouse can be hectic, and it can be tempting to let hygiene standards slip. However, by addressing these common hygiene faux-pas, workers can prevent the spread of common illnesses such as colds, influenza and norovirus. 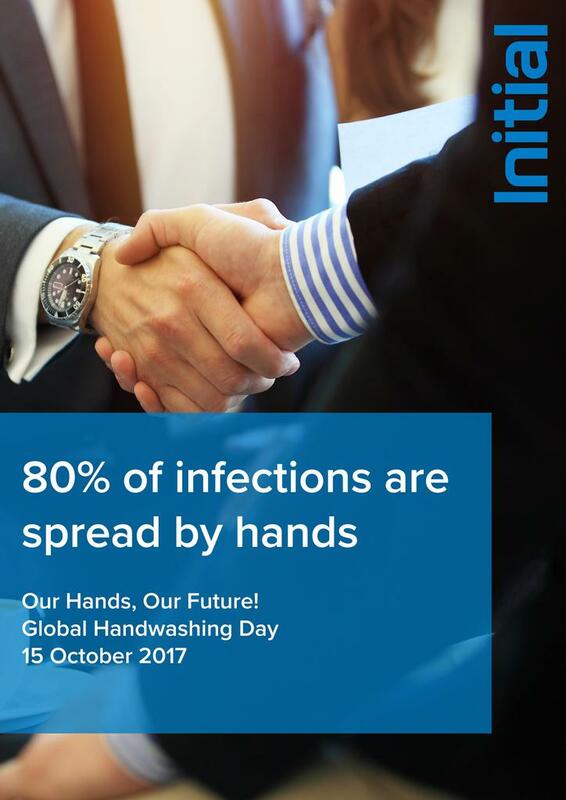 The power of thorough handwashing as a weapon against infection and sickness should not be underestimated. Anonymous monitoring of 100,000 people across Europe by Initial Washroom Hygiene revealed that only 38% of men and 60% of women wash their hands after going to the toilet. Proper handwashing can decrease the bacteria present on hands by 80% and reduce the risk of illness by up to 50%. It’s therefore clear that neglecting to wash one’s hands is a little error that could make a big difference when it comes to the spread of germs. To minimise the spread of bacteria and illness, hands should be washed thoroughly for 20 to 30 seconds using soap and water, and then dried properly. However, a survey of 1000 office workers by Initial Washroom Hygiene found that only 31% claim to wash their hands for more than 20 seconds every time. Initial’s survey also found that almost a third (32%) of UK workers use their smartphones while in the office washroom. Even if they wash their hands after their washroom visit, the chances are they don’t sanitise their phone – meaning the device could be contributing to the spread of bacteria by cross contamination. Something as simple as leaving your mobile phone in your pocket while visiting the washroom could help to prevent the spread of illnesses. The hard surface of a mobile phone can harbour bacteria for up to 72 hours, so while it seems like a harmless way to pass the time, using the phone on the loo could potentially create an ideal cross contamination surface for bacteria and viruses. Germs can easily pass from person to person through indirect contact with contaminated services, such as shared objects, including computer mice, door handles and communal kitchen facilities. Just one example of this is computers, which have been found to house thousands of microorganisms per square centimetre. Shared touch points provide the perfect environment for germs to breed, so it’s important to sanitise these surfaces between uses. The same can be applied to shared industrial or manufacturing equipment, which need to be wiped down regularly. 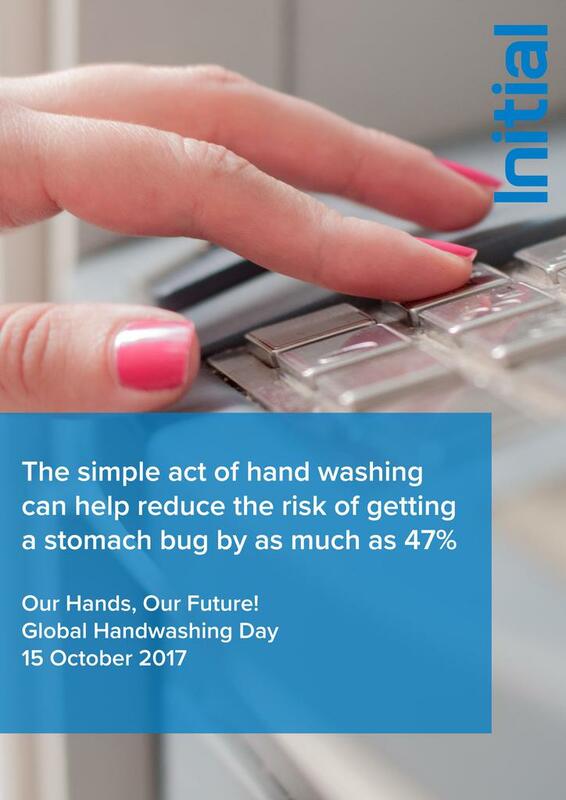 While employees are responsible for their hygiene slips, employers also have an important role to play to support their workers’ hand hygiene and good health. Simple initiatives like notices reminding workers to wash, dry and sanitise their hands after visiting the washroom, before eating and when using shared equipment, as well as discouraging the use of mobile phones in the washroom can make a huge difference. Creating a clean, pleasant and well-stocked washroom is also an effective way to support workers’ hand hygiene and overall health.